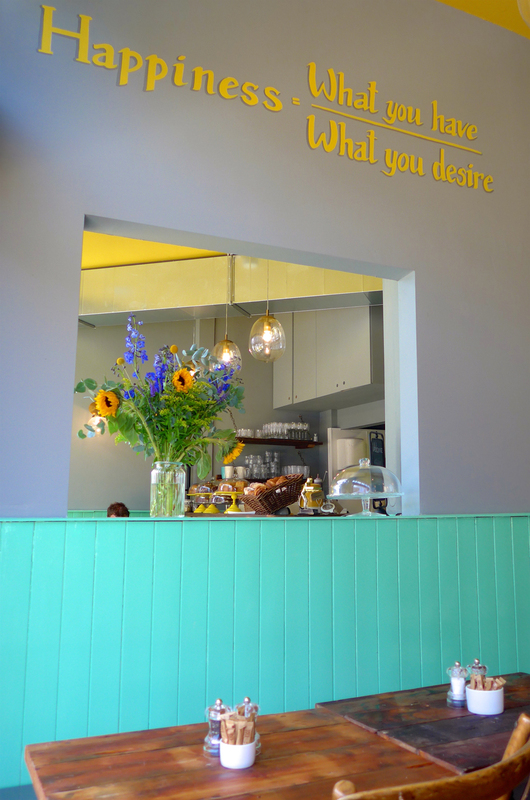 It’s the stuff of nightmares… You wake up one morning to find your favourite brunch spot (Hummingbird Cafe) closed down! Yes there are other brunch spots but this was within crawling distance of my house, had seating in the sun and the best selection of fresh, flavoursome food and drinks. Don’t panic! 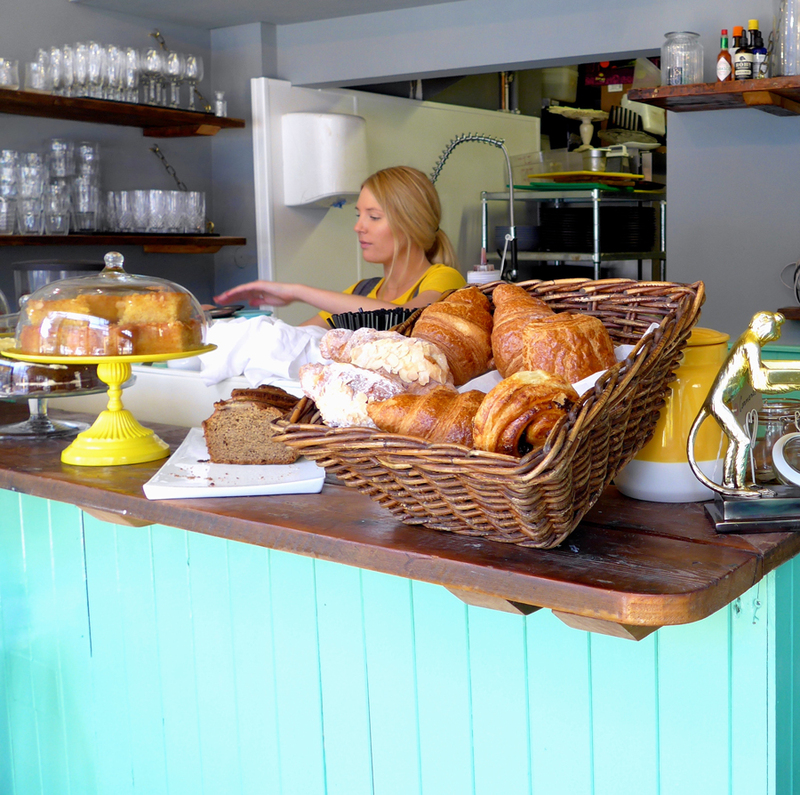 This beautiful antipodean style café still welcomes you onto Oaklands Grove with a new name and a new look. 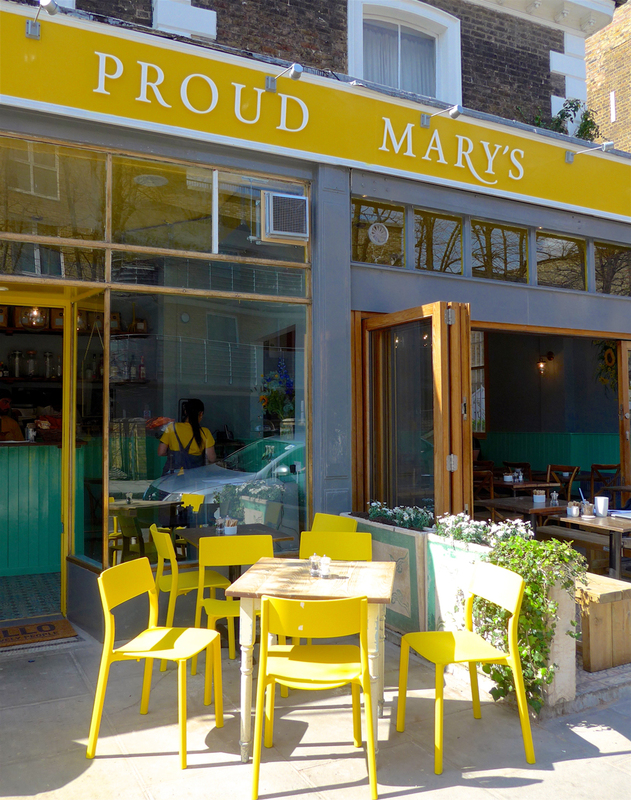 Introducing Proud Mary’s which opened its doors today! **Update: please note that Proud Mary’s have sadly lost their outdoor seating license. 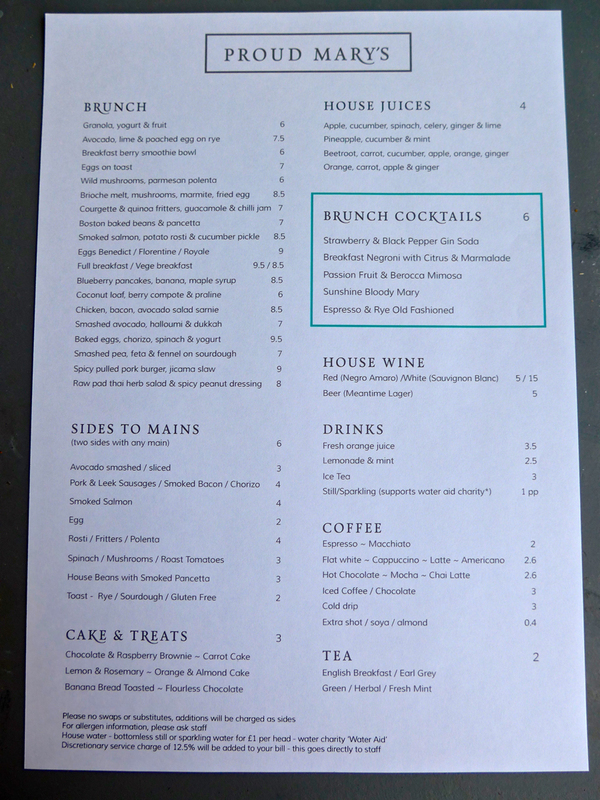 However you can still enjoy their delicious brunch with the sliding doors thrown open in good weather. 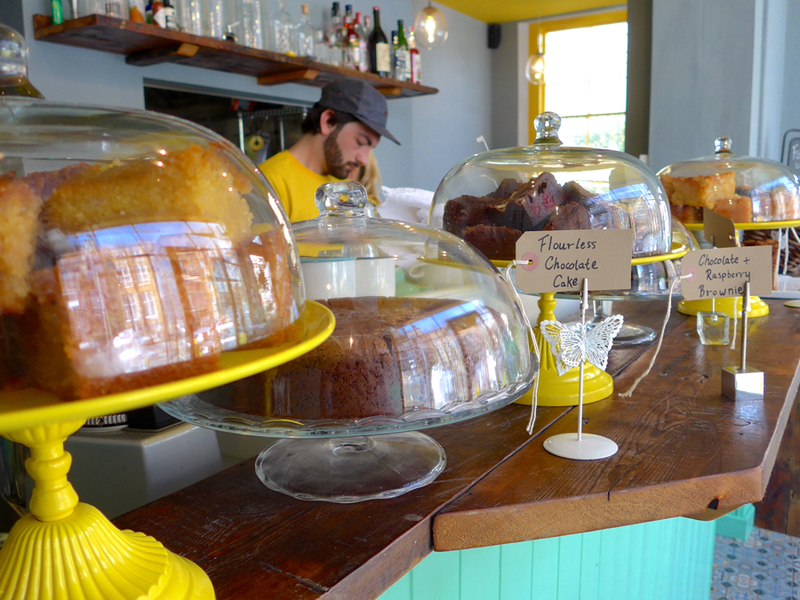 Hummingbird Cafe closed for two weeks and emerged reinvented and refurbished. 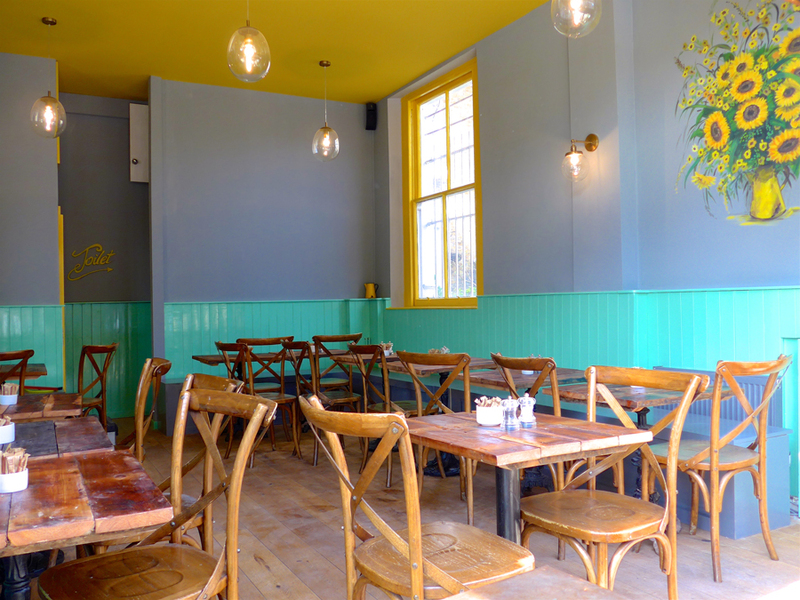 Proud Mary’s still retains the friendly, neighbourhood charm with some great new additions. Meeting the lovely owner, Lorraine, she explained that after nearly 7 years, it was time for a change to keep the cafe fresh. The resulting effect is bold, fun and creative – just what they set out to achieve! 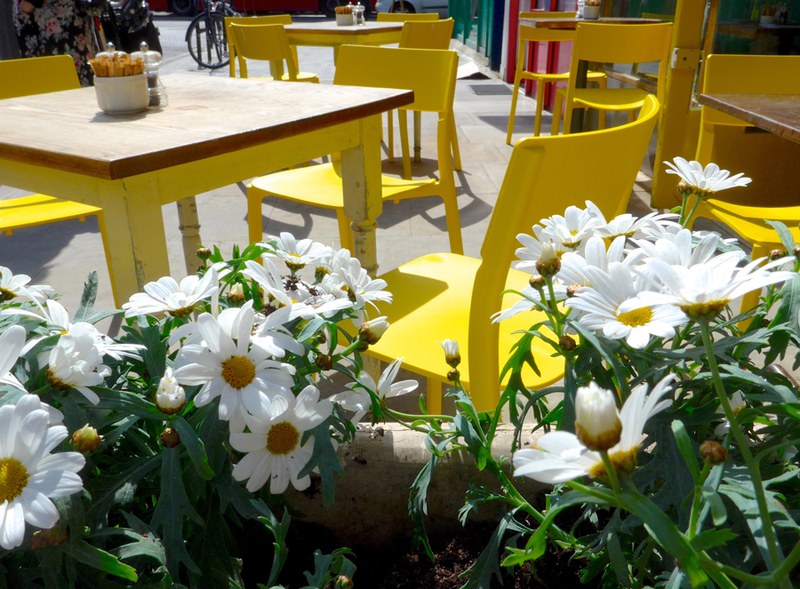 There are happy, bright yellow chairs outside sitting alongside freshly planted daisies, and the interior has had a new lick of paint and inspirational murals. There are more exciting changes to come such as removing a wall dividing the inside seating area, awnings and new furniture. The changes are not all cosmetic, Proud Mary’s leaflet explaining the refurb says, ‘sometimes a change is as good as a rest’ and you can certainly feel the renewed energy and focus on excellent service. They’ve definitely upped their game. 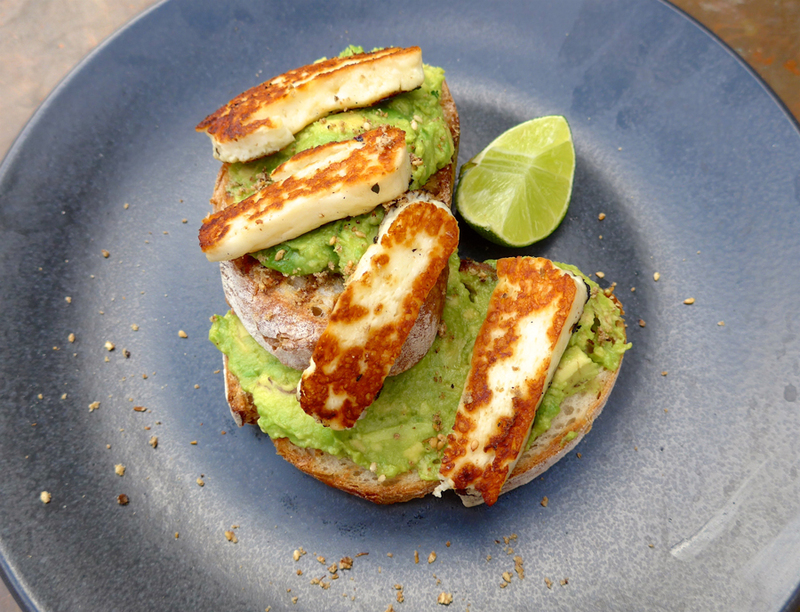 I spent all morning sitting in the sun with tea enjoying watching the constant flow of people passing through before opting for the ‘Smashed avocado, halloumi & dukkah’ which tasted as good as it looks! I highly recommend supporting this local business and checking out Proud Mary’s! You won’t be disappointed. 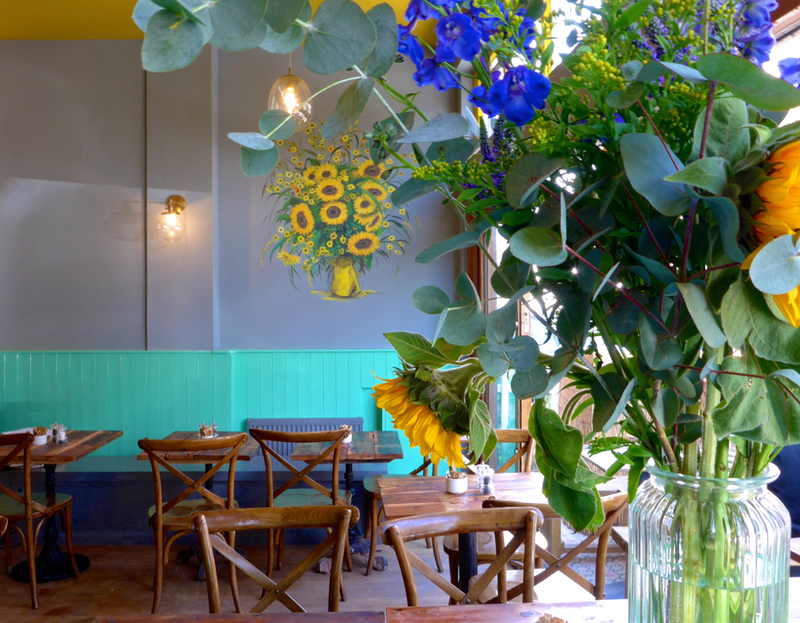 If they’re busy or you’re dead set on sitting outside, there’s a fabulous brunch spot around the corner Wild Thyme (click here to check out the article).